Bento for Kidlet: Fun Bento Finds! If you live in the Cental Ohio area, there are a couple of places to find cute bento boxes and a few accessories! Kidlet and I had a little birthday shopping spree in honor of my turning 28 yesterday or "becoming super old *according to Kidlet*"
Hana Gifts is a great place for all of your Hello Kitty needs. Since we do not have a Sanrio store anywhere near us, this is the next best thing. Half of the store is basically devoted to adorable stationary and Sanrio goods. The other half has books, kitchenware, and household decor. The prices aren't the cheapest but since we don't have to pay shipping I find it evens out. I believe we used great restraint! 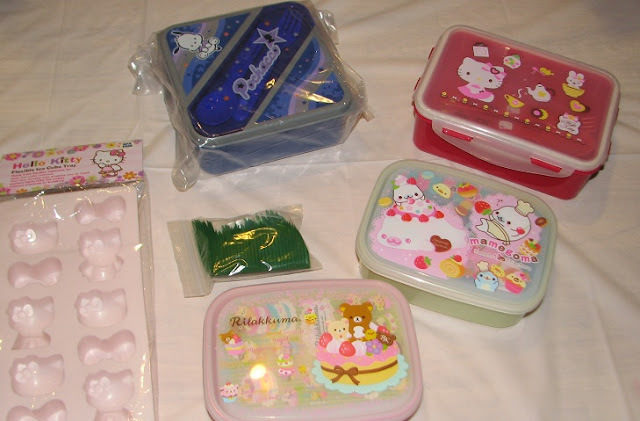 Kidlet got an adorable Pochacco bento, the top left red Hello Kitty bento is a gift for Kidlet's gramma! the two lower boxes are mine, muwahahaha! They each hold two more boxes, another pic of that below! We also picked up some more baran and an adorable Hello Kitty ice mold! Next door to Hana Gifts is a grocery store called Tensuke Market. They have a great selection of grocery items as well as an attached restaurant. If you like sushi they also have a TON of that. While they do carry a few bento boxes, the prices are hilarious. Seriously I laughed out loud a little. They do have a few accessory type items that are more reasonably priced as well as rice molds. 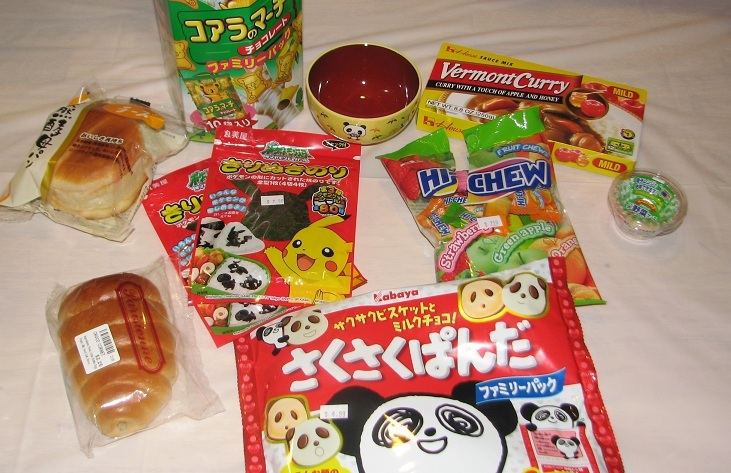 The best find I encountered was packets of Pokemon nori cutouts!! Fantastic, Kidlet was so excited for this! Among the tasty treats we found I also picked up a container of tiny paper bento cups and an adorable rice bowl with pandas on it! The Hi-Chew pack is open because Kidlet could not wait. 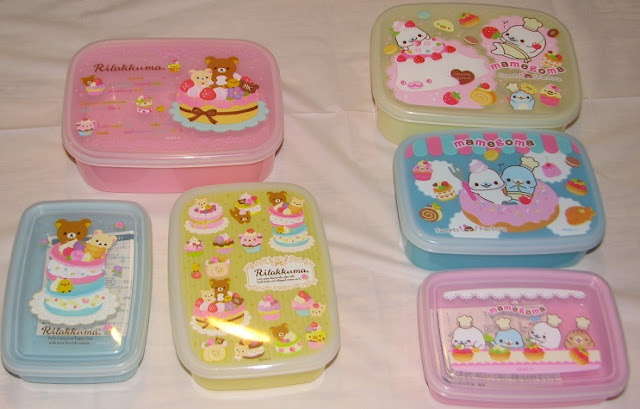 You bought so many cute bento boxes....:D!! I am jealous here;). Very cool! I actually got the same Pokemon nori from ebay :) I also got a package of Pokemon black and white furikake with tamago, sake, yasai, and bonito :D Yum yum! They both came with stickers!! :D Wow it's posts like these that make me hate living in the middle of no where next to the "major" city under 100,000 population. I miss the bigger city. Happy Birthday, 28 is not old. I can't tell you how jealous of all the mom's out there that have taken the time to practice making bento for their kids. I make them for my mom. Age has experience.